This cute card by Tessa Wise is jam-packed with snowy fun! I love how Tessa stamped all those adorable snowmen (and snow ladies) to create this fun scene. She did some amazing cutting around them too! Wowsers!! 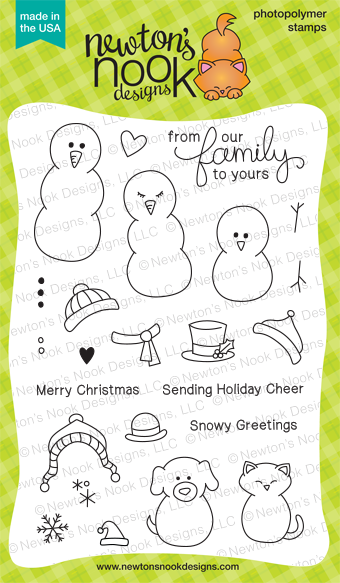 The snowmen she used are from our Flaky Family Stamp Set! I also love the bits of snowy sequins and the the little details she added liked the polka dots on the pink hat!! This set is so fun because it lets you customize the "snow family" to mimic your own - it even has a snowdog and snowcat! If you haven't checked it out yet here's a peek at the whole set- can you see all the fun possibilities? 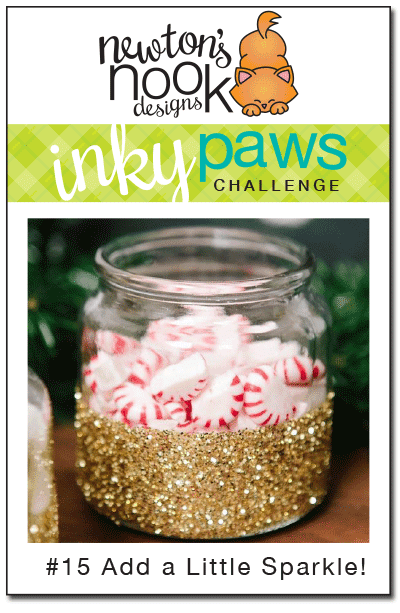 - Challenge closes Friday, November 7th. Wow, this card is absolutely adorable Tessa! And your fussy cutting is amazing! Oh so cute! I just received my set in the mail yesterday, and I can't wait to get to play with it! Thanks for the inspiration! Adorable little family of snowpeople! This snow family is nothing short of delightful! Love that you can customize the family to reflect your own. Sweetness to the max!